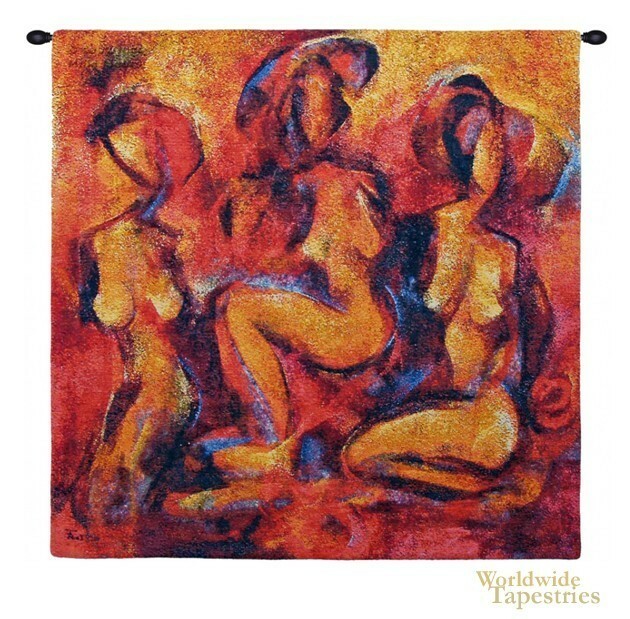 This tapestry 'Africa' is based on the work by artist Franz Ruzicka. His modern styled works are based on figurative and abstract forms and is based on his visits to continents including Africa. His style is evocative and uses colors in a stunning and memorable way. The heat and earthiness of Africa in an abstract way are portrayed in this contemporary tapestry that will suit any room or home requiring a touch of striking modern art and infusion of energy and color. This tapestry is backed with a lining and has a tunnel for easy hanging. Note: tapestry rod and tassels, where pictured, are not included.